This is another event from February – Valentines Day to be precise – which has taken me a wee while to get around to posting. I was commissioned by the Wellingtonian to photograph this event. Starting at the Freyberg swimming pool on Oriental Parade, Frocks on Bikes participants head out around Wellington’s idyllic bays to Island Bay. 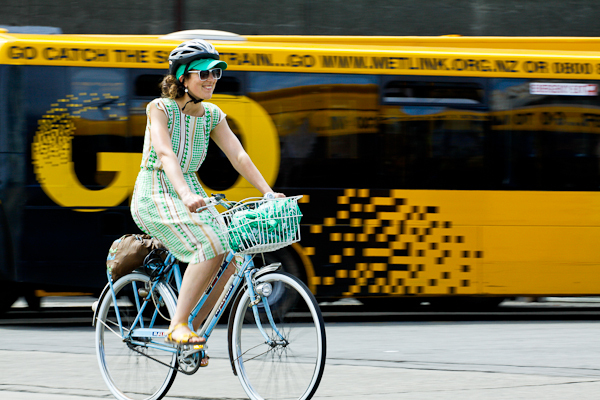 The aim of the event is to promote cycling as a more fashion-friendly activity, and to encourage more people to cycle. Only one image was used in the paper but here is a selection from the day. Sarah Thomas, 34, from Brooklyn, poses for a photo on Freyberg beach before beginning the round the bays, Frocks on Bikes ride to Island Bay. 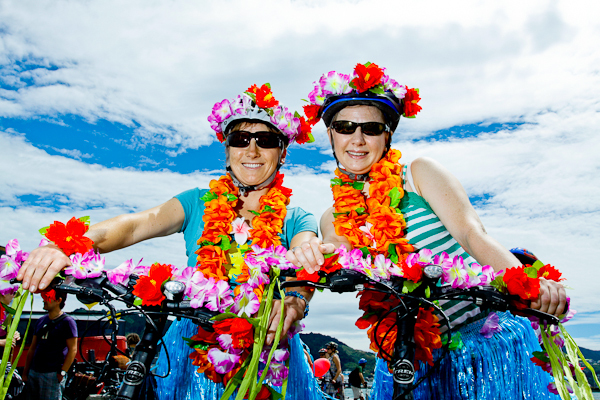 L-R: Sisters Rebecca (34) and Phillippa (32) Speirs, from Island Bay, pose for a photo before beginning the round the bays, Frocks on Bikes ride to Island Bay. Karen Win (30), from Mount Cook, cycles along Oriental Parade as part of the Frocks on Bikes event for the Island Bay Festival 2011. 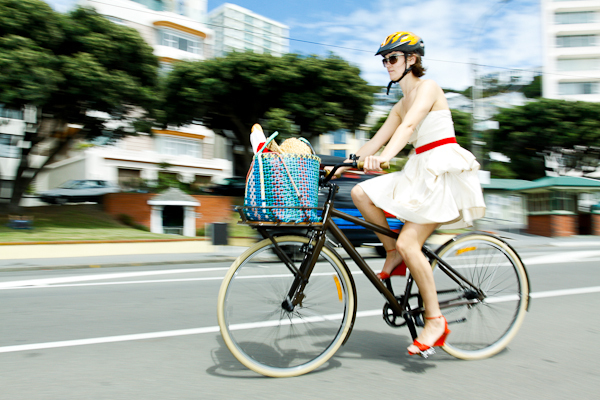 Deborah Barton (33) from Newtown, cycles past the Kilbirnie bus depot on Onepu Road on her way to Island Bay as part of the Frocks on Bikes event. 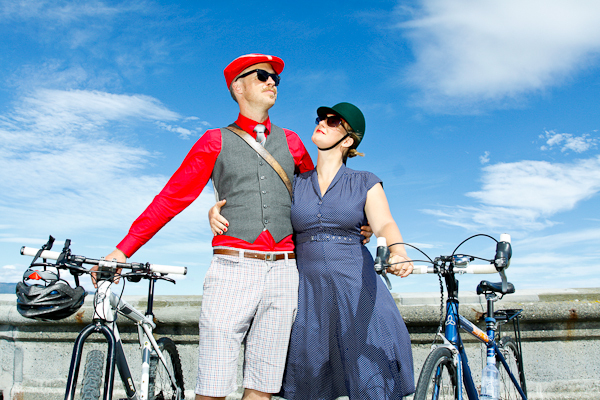 Winners of the Frocks on Bikes best dressed couple, Anton (32) (left) and Lisa Berndt (33) from Mount Cook, pose for a photo on the Esplanade in Island Bay. 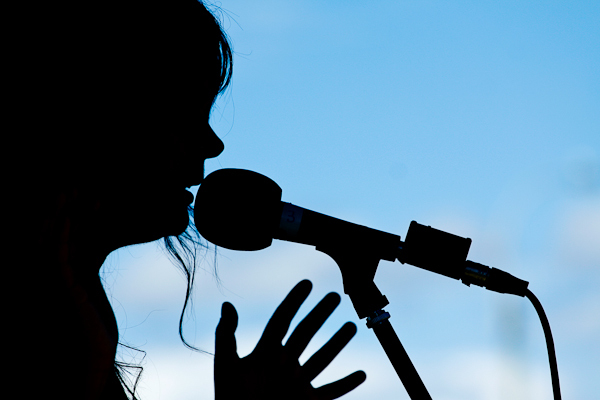 Nik Jarvie of the band The Good Words, is silhouetted by the bright blue sky as she sings in the band rotunda at Shortland park as part of the Island Bay Festival 2011. 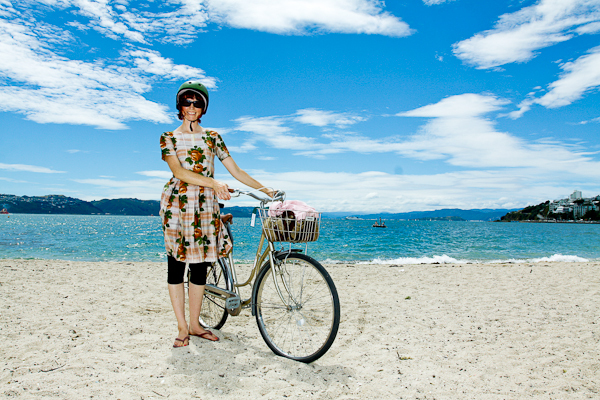 The Frocks on Bikes event happened to coincide with the Island Bay festival. 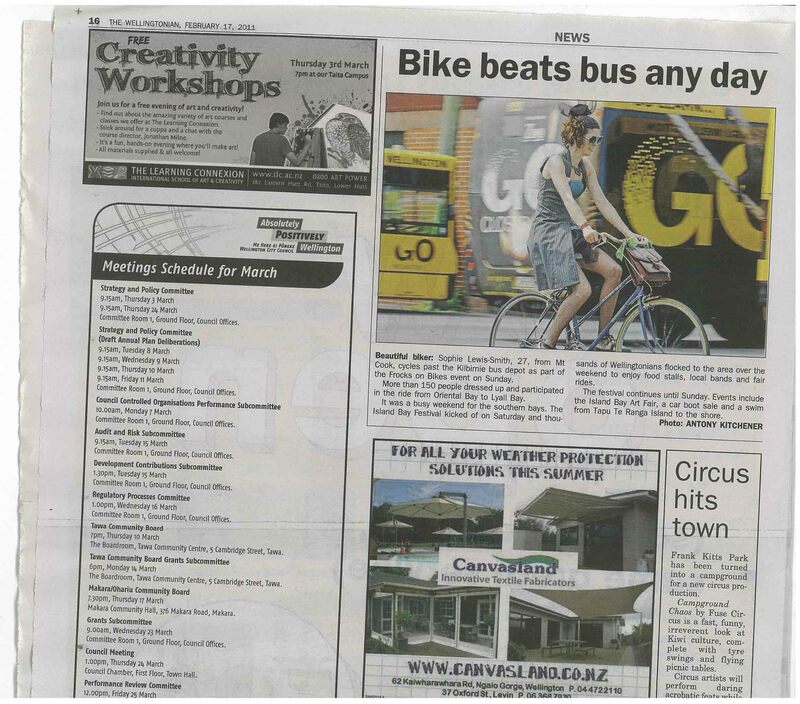 Print edition of The Wellingtonian newspaper.